We have been reporting on the Galaxy Tab S4 for a few months now and much like its predecessor, Samsung’s new flagship tablet will be available in both Wi-Fi and LTE variants. The US variant of the Galaxy Tab S4 has now surfaced online bearing model number SM-T837P. It’s going be the LTE variant of the tablet meant for Sprint. The SM-T835 has previously been spotted and it’s the Wi-Fi only model of the tablet. Earlier sightings of the Galaxy Tab S4, be it its Bluetooth certification or Geekbench appearance, have revealed Android 8.0 Oreo as the operating system. This latest sighting hints at the possibility of the tablet launching with Android 8.1 Oreo out of the box. Samsung is yet to release Android 8.1 Oreo for its devices even though it has already released for many compatible devices. The Galaxy Note 9 will most definitely be its first smartphone to come with Android 8.1 Oreo out of the box. As far as the specifications are concerned, the Galaxy Tab S4 may be powered by the Snapdragon 835 processor with 4GB of RAM and 64GB of storage. 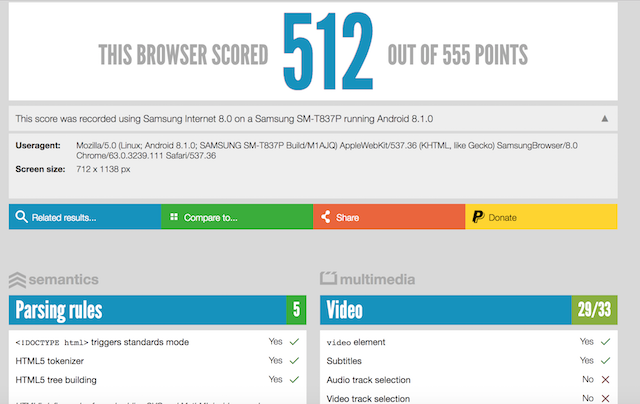 Samsung will be shifting to the 16:10 aspect ratio for its 10.5-inch display. The tablet may also feature a 13-megapixel rear and 8-megapixel front camera. Samsung appears to have a new accessory for the Galaxy Tab S4 in the pipeline as well. 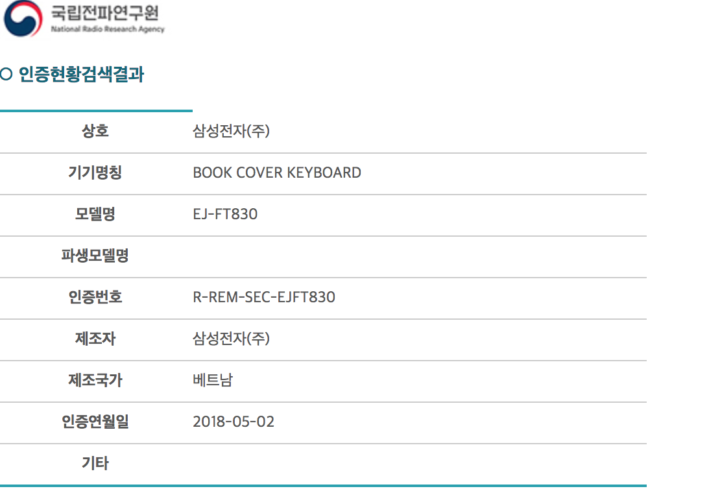 A “Book Cover Keyboard” has been certified in South Korea by the Radio Research Agency. The model number suggests that this accessory is for the Galaxy Tab S4. It’s still unclear at this point in time when Samsung is going to launch the Galaxy Tab S4. One would expect the company to launch the new tablet at IFA 2018 but the possibility exists that it may launch the tablet before the Berlin-based trade show takes place in September this year.